Peninsula Dermatology and Laser Clinic offers an array of general, medical, surgical and cosmetic dermatological services. We have three convenient locations to serve you: Gig Harbor, Silverdale and Tacoma. 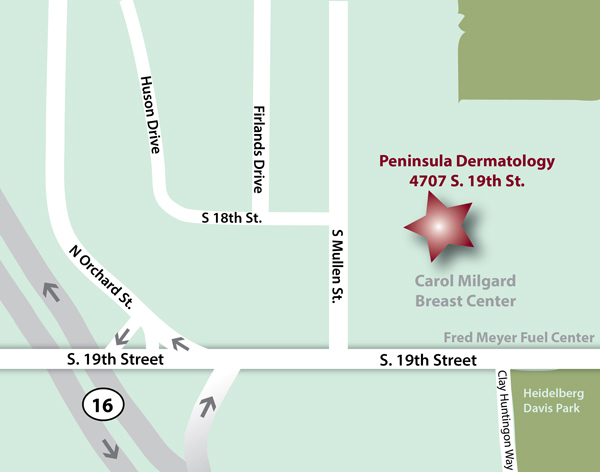 Our Tacoma clinic is located directly behind the Windemere Real-estate building. We are located in the building with “Eye MD’s of Puget Sound” on the first floor.